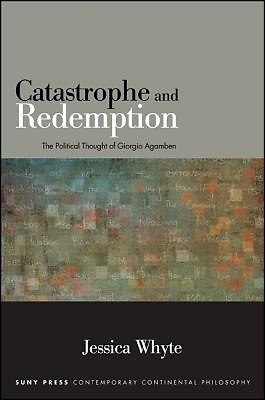 Challenging the prevalent account of Agamben as a pessimistic thinker, Catastrophe and Redemption proposes a reading of his political thought in which the redemptive element of his work is not a curious aside but instead is fundamental to his project. Jessica Whyte considers his critical account of contemporary politics--his argument that Western politics has been "biopolitics" since its inception, his critique of human rights, his argument that the state of exception is now the norm, and the paradigmatic significance he attributes to the concentration camp--and shows that it is in the midst of these catastrophes of the present that Agamben sees the possibility of a form of profane redemption. Whyte outlines the importance of potentiality in his attempt to formulate a new politics, examines his relation to Jewish and Christian strands of messianism, and interrogates the new forms of praxis that he situates within contemporary commodity culture, taking Agamben's thought as a call for the creation of new political forms.